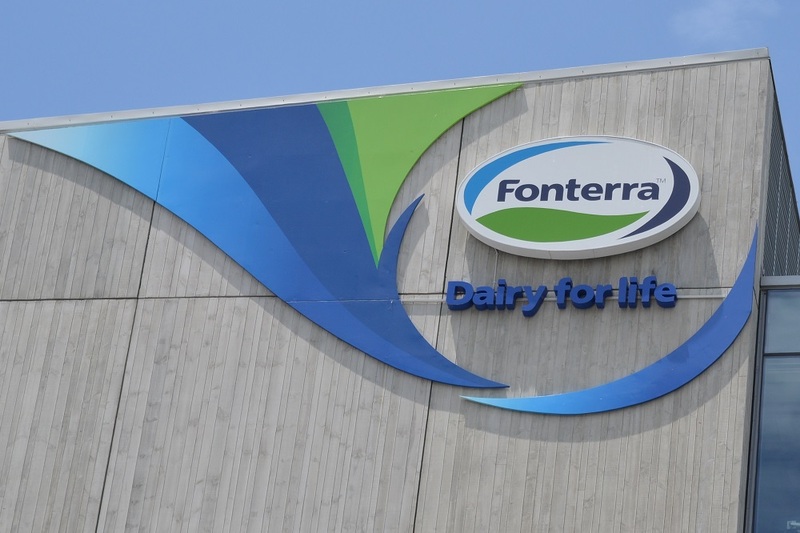 Fonterra's signalling that it will put New Zealand milk production "front and centre" of what it does as it reviews and seeks to turn around the business. On Wednesday the dairy co-operative announced a return to profitability, with an $80 million half-year profit. It has also put its 50% interest in DFE Pharma up for sale and has sold its Inlaca Venezuelan interest resulting in a $126 million loss. The Inlaca loss, which was largely due to the combination of Venezuela's hyperinflation and plummeting exchange rate, was not included in the half-year result, but the current estimate is it might have an impact of about 8c per share on the full-year earnings. DFE Pharma, which is a joint venture with Dutch co-operative FrieslandCampina, had revenues in 2018 of $346 million and operating earnings of $100 million. Fonterra's also attempting to sell its Tip Top ice cream business and is looking at options for its troublesome 18.8% shareholding in Beingmate Baby & Child Food Co. Sales of these assets are seen as crucial in Fonterra achieving a targeted $800 million reduction in debt this year. Fonterra's recently formally appointed (after serving as interim) CEO Miles Hurrell was asked at the media briefing after the result announcement whether the company was looking to exit overseas milk production investments, such as its farms in China and become a straight exporter of milk out of New Zealand. “We need to extract the most value for the New Zealand product that’s made," he said. "I think our farmers will be first to suggest that the products that we make here are unique. The New Zealand provenance story that goes with it, the way we treat our animals they way that we care for the environment here in New Zealand is a unique proposition and we can make sure that is front and centre of mind as we go forward. “It would be too far to think that we would be out of completely offshore but we need to make sure that we put New Zealand front and centre. Earlier in remarks accompanying the half-year result release, Fonterra chairman John Monaghan, in updating progress on Fonterra's review of its business said it wasn't "mere tinkering around the edges". “...There will be fundamental change. We are taking a hard look at our end-to-end business, where we can win in the world and the products where we have a real competitive advantage. At the media briefing Monaghan was asked about the proposed sale of Westland Co-operative Dairy Company to China's largest dairy producer Yili. “We’re sad to see the demise of another New Zealand co-op,” he said, adding that any Westland supplier shareholders that wished would be welcomed back to Fonterra. In respect of the 10-year guarantee that the new owners of Westland are giving to ensure that Westland farmers won't get paid less than Fonterra farmers for their milk, Monaghan said: “10 years goes very quickly in what is an intergenerational business and it’s what happens beyond that that becomes important. “Our remit as a co-op is to bring our profits back to New Zealand. Nearly 50c in every dollar is spent in regional New Zealand and has benefit to the New Zealand economy." Asked further about the Westland deal, he said: “Ultimately what happens in Westland is a decision for the Westland farmers and shareholders. Monaghan confirmed that after Westland had put its business up for review last year Fonterra did have a "very early discussion with Westland about finding a co-operative solution to the situation they were in" before Westland pursued other options. This sale is not directly included in Fonterra’s half-year results, and the impact of the FCTR on the profit and loss statement has not been reflected in the forecast earnings per share range. Fonterra expects there to be a number of one-off transactions and adjustments over the course of its financial year (some positive and some negative). The sale of Inlaca would have an eight cents per share negative impact on earnings. As Fonterra has other one-off transactions that are underway but not yet completed, such as the potential sale of Tip Top and DFE Pharma, it is too early to assess the overall impact of our divestment programme on the Co-op’s FY19 earnings. As a result, the announced forecast earnings will continue to reflect only the underlying performance of the business. Fonterra will advise any one-off impacts of a transaction on its FY19 earnings when that transaction is announced, and will provide details of the overall impact of its divestment programme on FY19 earnings as part of its full-year financial statements. Am I reading this correctly, they turned $142 million into $16 million? Keith -Technically I agree. However I believe allowing them to bring "unders and overs" into the accounts by year end is reasonable. The sheer scale of anticipated asset sales would overwhelm their underlying performance. And even while the sell down is happening we still need to see management is focusing on day to day business. Having said that I am still looking to your analysis and comment on year end information to ensure Fonterra haven't just carried on previous management and board philosophies of burying the ugly stuff deep in the fine print. I agree. It is a case of taking note of both the underlying NPAT and the bottom line that includes everything. The comms team at Fonterra have chosen to bring the NPAT to the fore, and the lazy general media at Stuff for example have run with that. My guess is that Fonterra does indeed think it may be able to sell some assets above book value. I doubt whether the accounting team have purposefully buried anything, but it will be interesting to see the milk price Fonterra has assumed in the accounts. I have yet to search for that. It has risen since the end of the half-year.That milk price will be crucial when it comes to the end-of-year accounts, with NPAT and milk price typically being inversely correlated (all other things being equal). if they start selling more of their bad investments there will be a lot more red ink in writedowns. will the chinese farms be sold? Holly cow, have they ever made any investments that have worked out well? A chimp throwing darts at a spinning wheel could pick more winners than this lot. Venezuela! In the 1980’s our company patiently built up some good business there. Not huge but profitable nevertheless for both exporter and importer. It was starting to get some traction and the Venezuelan government stepped in and with a stroke of a pen wiped it out overnight. The correct people had not being getting their “dues.” Even then when you visited you could quickly it was troubled socially, sinister going on dangerous. Quitevolatile.From that experience, personally, hard to see how any business could formulate a sound and competent business plan, ie one that would justify investing $millions. There was a time - some ten or 12 years ago - when Venezuela was NZ's number 1 market for dairy exports. That all changed when the price of oil dropped and Venezuela ran out of money. With hindsight, Fonterra moved too slowly to exit Inlaca. Very few of us would have recognised that Fonterra had more than $100 million invested there. Thanks Keith. Actually I did know that, but had forgotten. Did wonder about it at that time as being a , could we say vital, market. Overall, believe we share the theme, as per your last sentence. Those that are inclined to make hay when the sun shines, are advised to be just as nimble when the clouds gather.Your memory jog, has taken me back a bit. ... hot dog ! ... that make it all worthwhile doesn't it .... destroying our water systems the length and breadth of our fair land for 80 million pieces of silver .... 100 % pure stupid ! To be fair though, there'll be a few farmers booked some profit, and plenty of service providers to the sector including banks that made some sort of return combined return over the waterways. Nah mate itss the townies fault mate...mate? With its one-eyed focus on China, Fonterra's and the industry's political influence in the last decade and more may yet prove to be as nationally ruinous as its environmental vandalism. Whatever else his doings, Winston Peters deserves the highest praise for expanding our foreign affairs reach and representative footprint, with the objective of finding more and better friends for our law-abiding liberal democracy. A whole summer of not being able to swim is unusual for e-coli readings - did they say where the e-coli was coming from as it isn't uncommon for councils not to define e-coli if they believe it is only going to be for a short time due to the high cost of testing to define if it is avian, bovine, sheep, human etc. Here in Central last summer a swimming ban was put on part of our lake due to e-coli readings. The roadside loos and 'freedom defecation' by freedom campers were the biggest suspects. The Council eventually tested to define it's origins and it was the ducks that were frequenting the shore, not humans that had caused the high e-coli readings. Hopefully for your river the council defined the source, if not, next time ask them to do so. Little known fact, actually. Before there was dairy farming seagulls refrained from crapping in rivers. Going to need some pretty beefy wipers to deal with it if one of those takes aim at your windscreen.. Thanks for your reply gbh. Hopefully they were able to trace back to the farm where it was coming from. Farmers allowing that sort of thing to happen give the rest of us a bad rap. As a note holder who is providing finance for zero return, I am underwhelmed. Good to see fonterra throwing around money except to those that fund it. Taken for a ride. Selling a few assets isn't going to solve much other than a slightly improved balance sheet. The demands from those heavily indebted suppliers will continue to ensure an inflated payout. If the chair is serious about 'sustainability and provenance', he can start by having some honest discussions with some of his suppliers by telling them to either sell up or get out of dairying. Sell your assets lose the asset and the profit still left with poor strategy and less assets to make less profit from...get the picture?